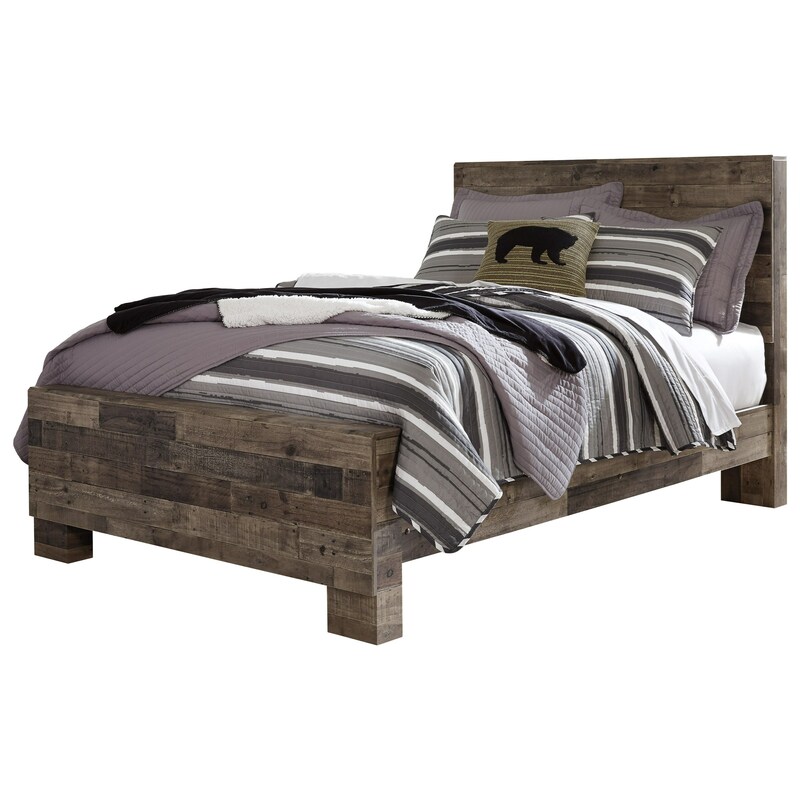 The Derekson Rustic Modern Full Panel Bed by Benchcraft at Michael's Furniture Warehouse in the San Fernando & Los Angeles area. Product availability may vary. Contact us for the most current availability on this product. B200-84 Full Panel Footboard 1 55.51" 4.45" 20.39"
B200-86 Full Panel Rails 1 55.28" 78.9" 7.17"
B200-87 Rustic Modern Full Panel Headboard 1 55.51" 4.45" 48.5"